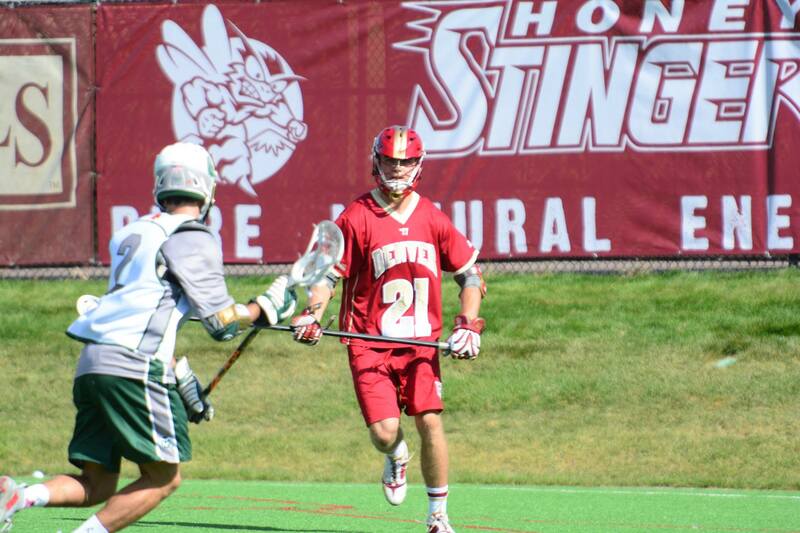 Honey Stinger, the leading manufacturer of honey-based nutritional products, announces a sponsorship agreement with Denver Sports Properties, a division of OUTFRONT Media Sports, and the University of Denver Department of Athletics and Recreation for the 2015-2016 school year. As part of the agreement, Honey Stinger will fuel the University’s student athletes as one of the sports nutrition partners of the Denver Pioneers. Honey Stinger will ac tivate with on-campus product sampling at DU and the Coors Fitness Center, as well as in-game promotions at one home game for the 2015 NCAA Div. I national champion men’s lacrosse team and three home games for the perennial NCAA tournament-qualifying men’s hockey team. As an official nutrition partner, Honey Stinger’s logo will appear in the Bowlen Training Center and in various highly visible locations at all home games held in Magness Arena. In addition, Honey Stinger branding will be visible at all men’s lacrosse home games at Peter Barton Stadium. Student athletes will have access to Honey Stinger products at the Bowlen Training Center and various locations on campus. This entry was posted in Company News and tagged Bowlen Training Center, Coors Fitness Center, Denver Pioneers, Denver Sports Properties, hockey, lacross, Magness Arena, NCAA, official nutrition sponsor, OUTFRONT Media Sports, Peter Barton Stadium, Pioneers, University of Denver Department of Athletics and Recreation. Bookmark the permalink.